AspPDF.NET contains the ability to generate printable, scannable barcodes. Various 1D (linear) barcodes as well as two 2D barcode are supported. Linear (one-dimensional) barcodes are provided by the DrawBarcode method of the PdfCanvas object. This method expects two parameters: a string indicating the data to encode as a barcode, and a PdfParam object or parameter string providing parameters. The following code sample prints a UPC-A (Universal Product Code) barcode on a page. Dim strParams As string = "x=72; y=600; height=96; width=144; type=1"
Dim strData As string = "04310070524"
The DrawBarcode method will validate the data passed to it and throw an error exception if it is invalid for the specified type of barcode. Type	- What type of barcode to draw. See below for a list of supported types. X, Y - X and Y coordinates of the lower-left corner of the barcode. Width, Height	- Width and height of the barcode. The X, Y, Width, and Height parameters only specify the size of the actual rectangular bars. Text associated with barcodes may extend slightly outside the specified area. Color - Specifies the color of the bars and text. This can be a named color constant like "red" or a hex RGB value. Defaults to black. tc, tm, ty, tk - Specify the CMYK color components of the bars and text. The values must be between 0 and 1. If these parameters are specified, Color is ignored. These parameters were introduced by version 2.0.0.13729. BgColor - Specifies the color of the spaces between the bars. If not specified, the spaces will be transparent. This can be useful to make the spaces in the barcode white if the page background is non-white. Note that very few scanners can scan barcodes in colors other than standard black and white. FontSize - Specifies the size of the font used. This is not used for certain barcode types like UPC which prescribe all font sizes. This is a maximum limit on font size. AspPDF will shrink the font as necessary to make the text fit within the width of a particular barcode type. BarWeight - Certain barcode types do not prescribe a constant width ratio between "thin" and "wide" bars, but allow this ratio to be specified. Using this parameter may improve the scannability of these barcode types with various scanners. Defaults to 2, meaning "wide" bars are twice as wide as "thin" bars. DrawText - Some barcode types (such as UPC) usually include printed human-readable text. Others (such as Industrial 2/5) do not. This parameter allows you to override the default behavior. Can be set to True or False. AddCheck - A few barcode types allow optional calculation and use of a check digit. Boolean parameter. Compress - Only used by Code 128, see below. Boolean parameter. Angle - Specifies an angle of counter-clockwise rotation (in degrees) of the barcode around its lower-left corner. 1. UPC-A - The most common type of barcode. Used in retail applications. Requires 11 or 12 numeric digits; if 11 are given, AspPDF calculates and adds the 12th digit which is a check digit. 2. UPC-E - A shortened form of UPC-A. Requires 8 numeric digits. 3. EAN-13 - A superset of UPC-A, with one additional digit. Requires 12 or 13 numeric digits; the 13th is a check digit in the same manner as UPC-A. 4. EAN-8 - A shortened form of EAN-13. Requires 7 or 8 numeric digits; the 8th is a check digit. 5. UPC-A with supplemental - A UPC-A code, plus either a 2-digit or 5-digit supplemental code. Requires 14 numeric digits for the 2-digit version and 17 digits for the 5-digit version. If the 12th character is a space, AspPDF will calculate a check digit for that space and encode it. 6. UPC-E with supplemental - Similar to UPC-A with supplemental. Requires 10 or 13 numeric digits. 7. EAN-13 with supplemental - Similar to UPC-A with supplemental. Requires 15 or 17 numeric digits. Calculates a check digit if the 13th character is a space. 8. EAN-8 with supplemental - Similar to UPC-A with supplemental. Requires 10 or 13 numeric digits. Calculates a check digit if the 8th character is a space. 9. 2-digit supplemental - The 2-digit supplemental barcode can be drawn by itself without an accompanying main barcode. 10. 5-digit supplemental - See previous. None of the UPC or EAN barcode types use the FontSize or BarWeight parameter. All other barcodes do use FontSize, and use BarWeight unless otherwise specified. 11. Industrial 2 of 5 - Can encode any quantity of numeric characters. AspPDF adds the start and stop bars. 12. Interleave 2 of 5 - Similar to Industrial 2 of 5 with a more compact encoding scheme. 13. Interleave 2 of 5 Special - Same as Interleave 2 of 5 but with different spacing. Does not use BarWeight. 14. DataLogic 2 of 5 - Similar to Industrial 2 of 5 but with a different compact encoding scheme. 15. Plessey - Can encode any quantity of numeric characters. AspPDF adds the start and stop bars. This image illustrates the use of the BarWeight parameter set to 3. Note that the wide bars are much thicker than the thin bars. Requires a matched pair of start and stop characters which must be the letters A, B, C, or D. Does not use BarWeight. AspPDF encodes lowercase characters as uppercase, and adds start and stop bars. 18. Code 11 - Can encode any quantity of numeric characters. 20. Code 39 Extended - Can encode the entire ASCII set (characters 0 to 127). Can optionally add a check digit with the AddCheck parameter. 21. Code 93 - Can encode the entire ASCII set (characters 0 to 127). Does not use BarWeight. 22. Code 128 - Can encode the entire ASCII set (characters 0 to 127). Does not use BarWeight. Must use a check digit via the AddCheck=true parameter. Automatically selects between Code-128 encoding schemes as necessary. Implements the Code-C encoding scheme to compactly encode pairs of digits; this is done if the optional parameter Compress is set to True. NOTE: as of Version 3.1.0.30169, this barcode is replaced by a more readable Type=24 barcode described below. 23. Code 128 Raw - Provides access to advanced features of Code-128 encoding; AspPDF does not do any processing of the data passed to it, except for adding the stop bars and optionally adding the check digit. You must provide the start code character; in VB or ASP, this would be ChrW(135) for Code A, ChrW(136) for Code B, and so on. Consult a Code 128 reference for full information on specifications such as function and shift characters. 24. Code 128 Auto - An improved version of Code 128 (Type=22) described above. Can encode the entire ASCII set (characters 0 to 127). Does not use BarWeight. Ignores AddCheck and Compress parameters. Introduced in version 3.1.0.30169 to replace barcode Type=22. Uses an alternative encoding algorithm which provides better scannability than the old Type=22 barcode. 30. US Postal Code - Printed on mail by the US Postal Service. AspPDF calculates and adds a check digit. Does not use BarWeight. 31. UK/Canada Postal Code - Printed on mail by the UK and Canada mail services. Does not use BarWeight. 32. Intelligent Mail Code - Used by US Postal Service. Also known as the USPS OneCode Solution or USPS 4-State Customer Barcode. Requires 20 digits of tracking information followed by 0, 5, 9, or 11 digits of routing (zip code) information. The 2nd digit of the tracking code must be in the range 0 to 4. Introduced by AspPDF.NET 2.2. Does not use BarWeight. The barcode functionality is demonstrated by Live Demo #8. AspPDF.NET supports four popular 2-dimensional barcodes: PDF417, Data Matrix, QR Code and Aztec. (QR Code is supported as of Version 1.9.0.12551, and Aztec as of Version 3.4.0.33105.) 2D barcodes are drawn via the DrawBarcode2D method of the PdfCanvas object. This method has two required arguments: the text to be encoded, and an instance of the PdfParam object or parameter string. An overloaded version of DrawBarcode2D takes a byte array as the first argument in case binary information needs to be encoded. The barcode's appearance is controlled via parameters passed via the 2nd argument. The only two required parameters are X and Y which specify the position of the lower-left corner of the symbol on the page. The Type parameter specifies which of the four barcode types to draw. The valid Type values are 1 (PDF417, default), 2 (Data Matrix), 3 (QR Code) and 4 (Aztec). The four 2D barcode types and their parameters are described below. The 2D barcode functionality is demonstrated by Live Demo #9. A PDF417 symbol has a columnar pattern. The leftmost and rightmost columns of every symbol always look the same and they are called start and stop patterns. These are abutted by row indicator columns, and the actual data columns are squeezed in the middle. The symbol above has 3 data columns. Each data column is a stack of "codewords" which are sequences of 4 bars and 4 spaces arranged on 17 available slots. That is where the number 417 comes from. A symbol can contain 1 to 30 data columns and 3 to 90 rows. BarWidth - the width of the narrowest vertical bar (in user units.) 1 by default. AspectRatio - the ratio of the row height to the narrowest bar width. 2 by default. ErrorLevel - controls the amount of error correction information in the symbol. The higher this number is, the more resistant to damage (and larger in size) the symbol gets. Valid values are 0 to 8. The value of 0 means no error correction. If this parameter is not specified at all, the error level is computed automatically based on the data size according to the standard PDF417 specifications. Columns - the symbol will contain at least this number of data columns, provided there is enough data for it. If not specified, the number of columns is determined automatically. Rows - the symbol will contain at least this number of rows, provided there is enough data for it. If not specified, the number of rows is determined automatically. CodePage - the code page number, such as 1252, to be used to convert the Unicode string to a byte array. 65001 (UTF-8) by default. This parameter was introduced in Version 3.4.0.33105. Width, Height - specify the overall width and height of the barcode symbol in user units, including the quiet zone (described below.) Both parameters must be specified to have an effect, i.e. if one is omitted, the other is ignored. If both of these parameters are specified, BarWidth and AspectRatio are ignored. QZH, QZV - specify the "quiet zone" space margins in user units on the left/right and top/bottom sides of the barcode, respectively. 0 by default. These parameters are only used if the Width/Height parameters are specified. Binary - if set to true, forces the byte (or binary) compression mode in which each codeword represents 1.2 bytes of information The default text compression mode encodes (roughly) 2 characters per codeword. False by default. 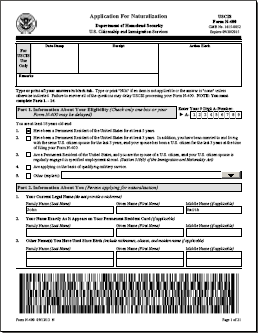 Filling out PDF417 barcode-equipped government forms is covered in detail in Section 12.8 - Barcode-equipped Government Forms. The number of rows, number of columns and error level are retrieved via objParam["Rows"], objParam["Columns"] and objParam["ErrorLevel"], respectively. The BarWidth parameter specifies both the width and height of an individual cell of the symbol (in user units.) AspectRatio is not used since the cells are always square. By default, the number of cell columns and rows in a symbol is determined automatically. You can specify the desired size via the Columns and Rows parameters. You must either specify both parameters, or neither. The following [Rows x Columns] combinations are valid: 10x10, 12x12, 14x14, 16x16, 18x18, 20x20, 22x22, 24x24, 26x26, 32x32, 36x36, 40x40, 44x44, 48x48, 52x52, 64x64, 72x72, 80x80, 88x88, 96x96, 104x104, 120x120, 132x132, 144x144, 8x18, 8x32, 12x26, 12x36, 16x36, and 16x48. All the other parameters have the same meaning as with PDF417. The return values are also the same except that there is no ErrorLevel value. The QR Code barcode is used	in commercial tracking applications as well as advertisements and signs aimed at mobile-phone users. It was invented in Japan in 1994. "QR" stands for "quick response." The three prominent corner boxes give the QR Code symbols a very distinctive look. The symbols are always square. By default, the size of the symbol is determined automatically. To make the symbol larger than necessary, use the Version parameter. The valid values are 0 (auto) and 1 to 40 to specify a larger size. The BarWidth parameter specifies both the width and height of an individual cell of the symbol (in user units.) AspectRatio is not used since the cells are always square. Columns and Rows are not used since the size is determined automatically or specified via the Version parameter. All the other parameters have the same meaning as with PDF417 and DataMatrix. The return values are also the same except that there is no ErrorLevel value. Aztec code was invented by Andrew Longacre, Jr. and Robert Hussey in 1995. It can encode 3832 digits, 3067 letters, or 1914 bytes of data. Aztec symbols have a recognizable "bull's eye" pattern in the center. Aztec symbols are always square. By default, the size of the symbol is determined automatically. To make the symbol larger than necessary, use the Version parameter. The valid values are 0 (auto) and 1 to 36 to specify a larger size. The following table maps the Version values to the corresponding symbol size. The symbols marked with an asterisk (*) in the table below are "compact" symbols, meaning they have a smaller bulls-eye pattern at the center of the symbol. The BarWidth parameter specifies both the width and height of an individual cell of the symbol (in user units.) AspectRatio is not used since the cells are always square. Columns and Rows are not used since the size is determined automatically or specified via the Version parameter. The return values are Width, Height, Rows and Columns.